Surrender at 20: 1/27 PBE Update: Blood Moon Jhin splash art, Blood Moon Diana Login Theme, and more! The PBE has been updated! As we continue the Blood Moon themed 7.3 PBE cycle, tonight's update includes the splash art for Blood Moon Jhin, a new login theme featuring Blood Moon Diana, and more! 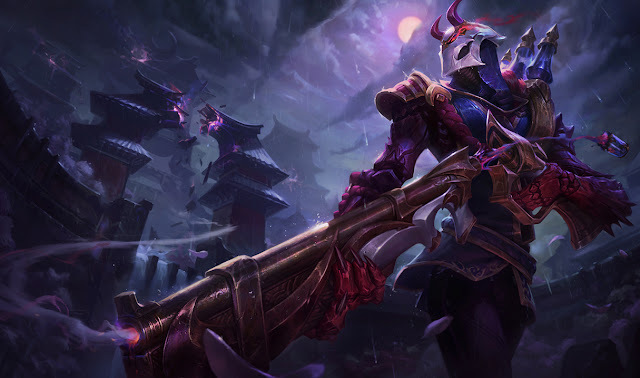 Today's update includes splash art for Blood Moon Jhin, one of four new skins currently on the PBE! 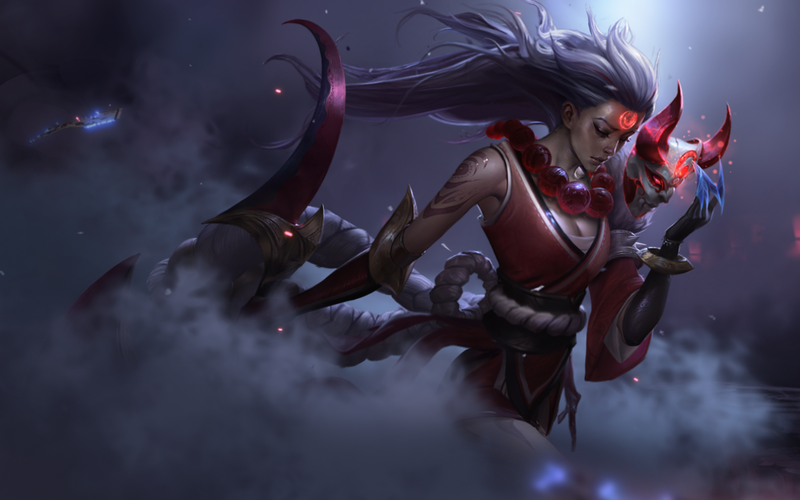 To go along with the new skins, a Blood Moon login theme featuring Blood Moon Diana is now on the PBE. Few tweaks to the upcoming Hunt of the Blood Moon game mode in today's update, including an increase to the amount of points needed for victory. Points needed for victory increased to 350 from 300. 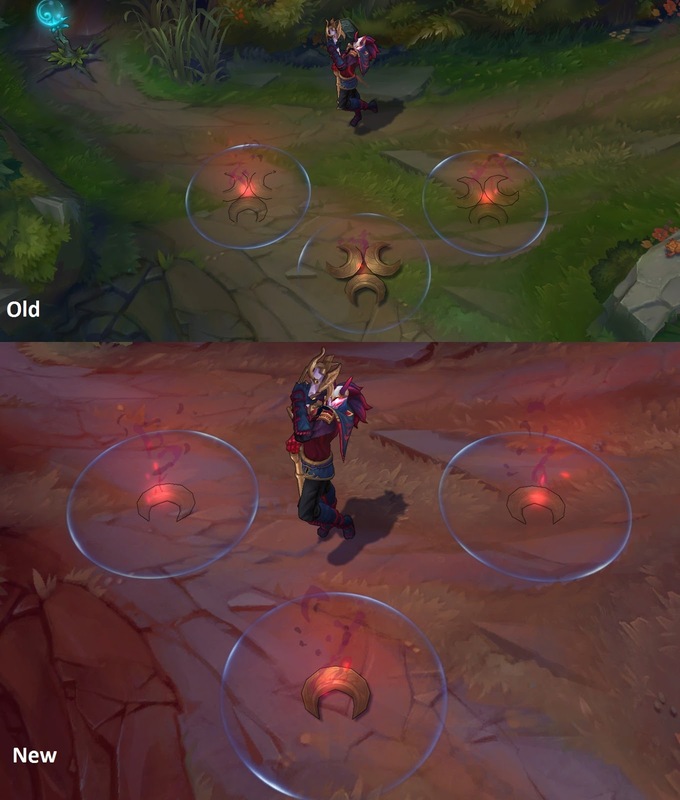 Few tweaks for the upcoming Blood Moon skins currently testing on PBE. 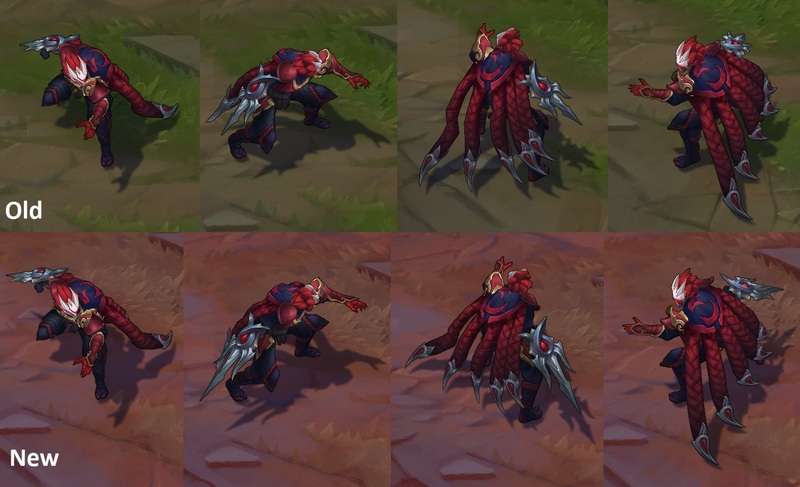 Blood Moon Talon received a few changes in today's update, including his arm blade being lengthened significantly and his W blade's now spinning as they linger at max distance. 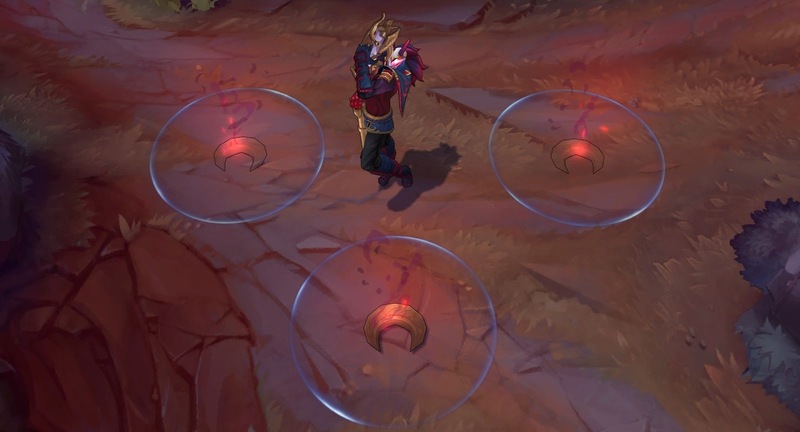 Blood Moon Jhin's E trap now a larger single trap instead of three connected. 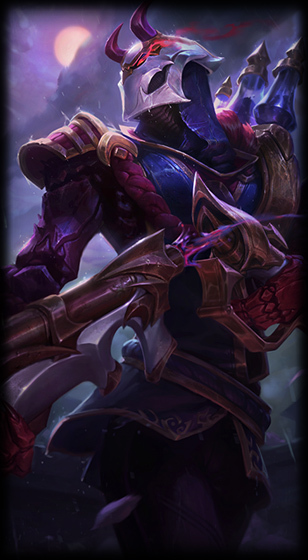 Blood Moon Jhin summoner icon modified - horns tweaked. RiotMEMEMEMEME tweeted they've made improvements to Cassiopeia's tail turn animations. The animation is now more fluid and will bend as she turns vs rigid turn. 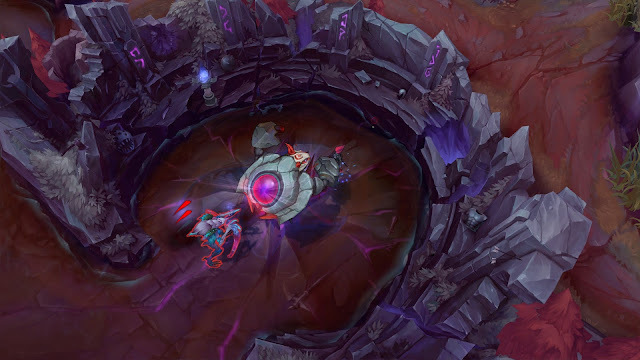 "We hooked up some of Aurelion Sols animation tech to Cassiopeia's tail, you should see this in todays PBE deploy!" 70% AP ratio removed from damage. Deadly Spines (Q) mana cost increased to 70 from 60. ManWolfAxeBoss tweeted that Cho'Gath's exploratory PBE R changes will soon be reverted and likely return in a future PBE cycle. "Pulling Cho changes from 7.3. Not quite ready to ship this patch, but should be back soon. Thanks for the feedback everyone!"